The state's Department of General Services refuses to let us down there, but we know they exist. 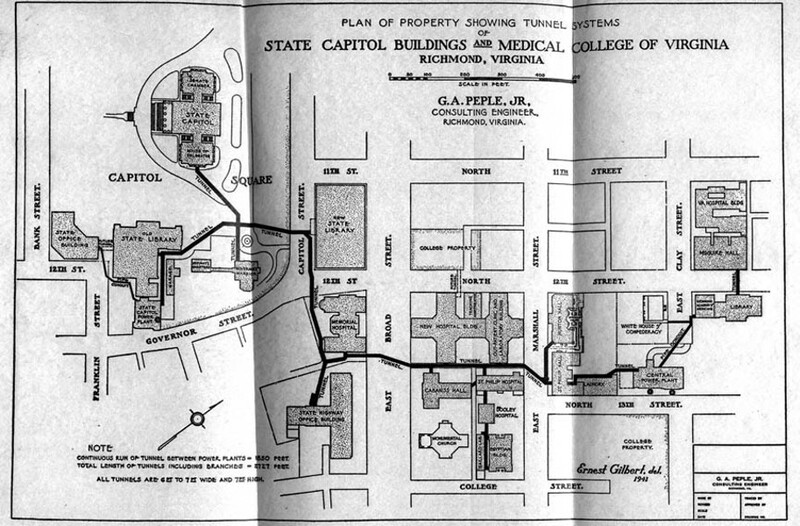 Below Capitol Square is a vintage tunnel system that links nearby state office buildings to the Capitol and the Executive Mansion. Though there are reports that it's been blocked off, the system crosses under Broad Street, linking up to the Medical College of Virginia. The tunnels were built in the '30s to run utility lines through as well as provide pedestrian access between buildings for state workers, officials say. The system primarily is used for utility purposes, though last year then-Lt. Gov. Bill Bolling said that he occasionally used the system to get from his office to the Capitol on rainy days.